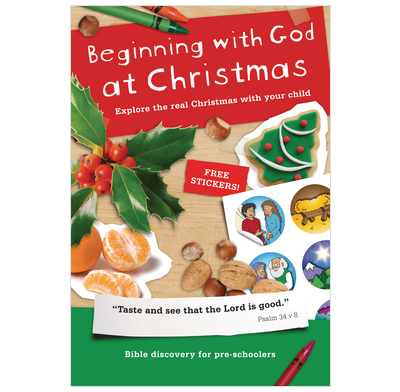 Helps parents and toddlers explore the real Christmas story together. Really pleased with this series. Only one problem - the stickers can be a little hard to get out and sometimes rip. After reviewing this devotion I could see how this would catch the interest of a child and draw them closer to God. I like the idea of starting with Christmas as a way to interests a child who might not otherwise have time to begin a study. We've nearly finished our first run through with this material with our two and a half year old. We've always read a children's Bible with him and have been trying to help him understand more, but the extra elements of simple questions, stickers and colouring pictures really help him to enjoy the time. They help us too, especially if we're a bit tired! This is a good taster booklet, we hope to start the first book proper after Christmas.